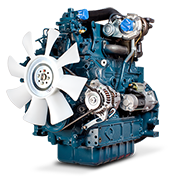 Kubota premium V3 Series feature the largest output engines in the range, providing the ultimate in powerful performance and reliability. 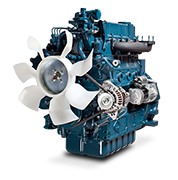 Featuring vertical, water-cooled, 4-cycle diesel engines, widely regarded as the ‘workhorse’ of engines. Powering Kubota’s tractors and across a wide range of civil applications including automotive, marine, mining and construction, the V3 Series offers the additional benefit of being incredibly low maintenance with a long service life.